Made to your specific requirements. 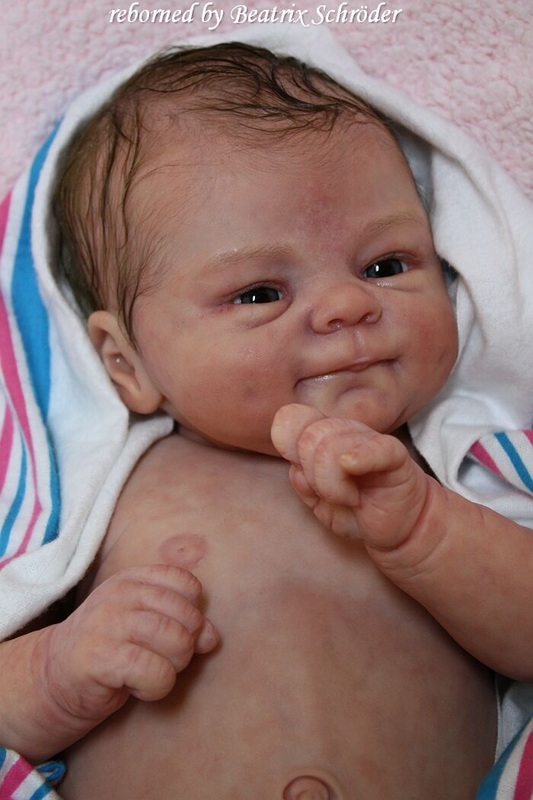 This baby doll has been realistically painted using genesis permanent heat set paints on one of our best quality vinyl kits The paints will not fade or rub off,. You can choose from the options below if you would like painted hair or rooted hair in one of the colours listed. Your baby will be specially weighted to feel like a real baby with our special filling combination. 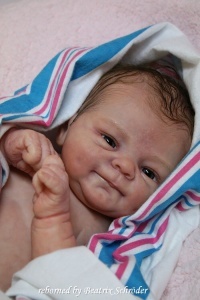 and will feel just like a newborn baby. and dressed in a gorgeous outfit selected to meet your colour requirements. 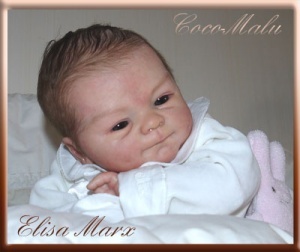 Your reborn baby will come beautifully presented in a white doll box lined with tissue. an shipping outer box will be used if posting is required. 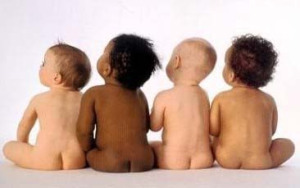 Pictures are for illustration purposes, your baby will be made to your specific requirements. 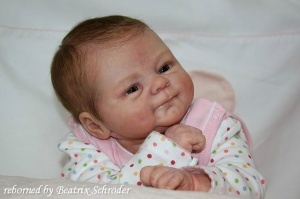 This item is a collectable Reborn baby Not a Toy and therefore NOT suitable for very young children. please use the drop down menu below to make your choices.